Samsung making to mutch phones to even follow there releases? There is no secret in that i am a Samsung device user. And i love the phones of Samsung. But i do wonder if Samsung is releasing to mutch phones. We all know about the hi end phones of Samsung. But lately this line gets thinner and thinner. They seem to milk out there brand name 'Galaxy' with releasing a lot of devices under that name. 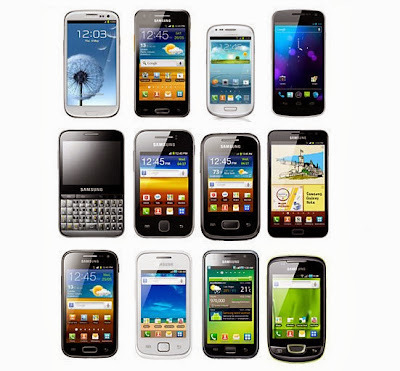 Just to show you guys what i mean in 2012 Samsung released about 63 devices! Now that is a lot of phones. This is from Hi-end phones to the very low end phones. Off course it is good that Samsung makes devices for more groups. It helps people to get a ok phone when they don't have they money for a HI-end phone. But it is getting a bit mutch in my opinion. We see the S Duos and the grand that are bolth a bit of the same. Then we see other mid phones like the The Ace the fame the Beam and so on. But we also see some things going on with the hi end phones. And samsung is making mistakes in this in my opinion. To start with the S4. The samsung galaxy s4 was there latest flagship in the beginning. But they released a S4 active to. And a Samsung galaxy s4 Zoom. While the Zoom and Active don't have the same specs. The Zoom is not even close to have the specs of the S4. It is a way different type of phone. And the Active has a less good camera. Now to go furder. They are releasing the S4 with a snapdragon 800 in some country's to. Meaning with a 2,3Ghz. But we go furder then that... Well Samsung does. They are now also releasing the Samsung galaxy J and the Samsung galaxy round. Bolth of does devices have the same specs as the Samsung galaxy Note 3! Now the question is what is there hi end phone? And what happends next year with the S5? Would it even be a big stap foward? Like this the cannot make a big step from the s4 anymore. Because people know the latest tech because it is in all the other devices. If you release a new phone it should stand out from other devices and Samsung is making that line thinner. Way to thin if you ask me. So people do not really wait for it anymore like before. Getting my point? And these are just a view of the devices! So what is your opinion about it?